When I was younger, at one point I was hanging out with a church group. In all fairness it was because I wanted to join in all their cool social activities – water fights, bowling etc, and most certainly not because I was interested in learning about God. The actual church and religious stuff I thought was nonsense (to my mother’s relief). One night they had a concert that I attended. I remember nothing of the music, although I must have thought it was decent. Actually, I think they may have been a rock style Christian band. My first real concert was in Brisbane with my sister. She took me to see Leo Nine, a local band that her friend from work was the bassist for. In preparation she had given me their CD to listen to, and I had fallen in love with the music. The lead singer’s voice had this deep soothing sound, with a nice wail to show emotion. I still love their music to this day (side note: you can find the album that I love so much on iTunes). Being the city, and being a local undiscovered band, it meant that most of the crowd were either friends and family, or in the music scene (read: dressed quite extensively in punk, rock or gothic style; being from a coastal town I wasn’t used to it). It was one heck of an eye opener for me. The coolest part was that it was in an old cinema, with all the chairs removed. It still had the slanted tiered floor, which meant that everyone sat down picnic-style and still have a great view. It still remains as one of the most chilled concerts I’ve ever been to. (Cool fact: My sister actually took the photo in the album cover above. She’d hung the camera out of the car when driving along in America, and the bassist loved the image so much they used it for their album). I almost didn’t go to this concert, but a friend at work encouraged me so on a whim I did. It was my second proper concert ever, after the Leo Nine one mentioned previously. At this stage I hadn’t truly understood the power of a live concert, so hadn’t made the effort to go to any others. This concert would change all of that. The Foo Fighters 2005 tour of Australia. I still believe Dave Grohl is an unnatural God of music. His talent is phenomenal, and his ability to draw in the crowd is phenomenal. Every concert I’ve been to of theirs has felt like my own personal experience, despite being surrounded by tens of thousands of people. Needless to say, Foo Fighters (and Dave Grohl himself) are in my top 5 list of all time favourite bands/musicians. I’m so glad my friend convinced me to go, because it was at this point I fell in love with concerts. I ended up being in a section that was different to him so was faced with being by myself, but when I got there it turned out some other friends were in the same section as me and so I hung out with them. This concert also resulted in my love for the Kaiser Chiefs, as they were the supporting band that night. I’d not heard of them until then, fool me. It was at this point that using your phone to take photos at concerts was becoming more mainstream, but as you can see from the above, the quality was pretty dodgy. It’s still enough to jog my memory as to how great the night was, I mean look, lasers!! Again I was convinced to go to a concert I was unsure of, this time by my friend Jo of A Rainbow Life fame (not that she’s been writing much lately, nudge nudge). The Big Day Out is an all-day festival, starting at 11am in the morning and finishing by about 11pm at night. It’s a long day, right in the middle of summer. The alcohol is expensive but plentiful, the drugs are everywhere but nowhere to be seen, and the outfits colourful. It’s quite a spectacle. This year Jo and I decided to wear some sombreros. We also packed a backpack with everything we needed. I had had my knee reconstruction only a few months earlier and was still in the midst of my rehab (with my knee not bending fully), so was a bit scared of getting too close to people. Unfortunately that meant that as the crowds grew thicker during the day we were standing further and further back, and when the Prodigy were playing at the end of the night we skipped it altogether and went home. However the experience was amazing, and I got to see amazing bands like Sneaky Sound System, The Grates and Youth Group (I would also see the Prodigy several times in future music festivals). 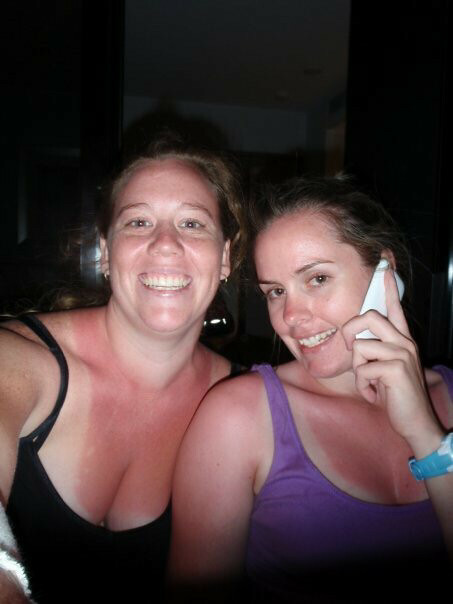 I did also learn about the importance of sunscreen. 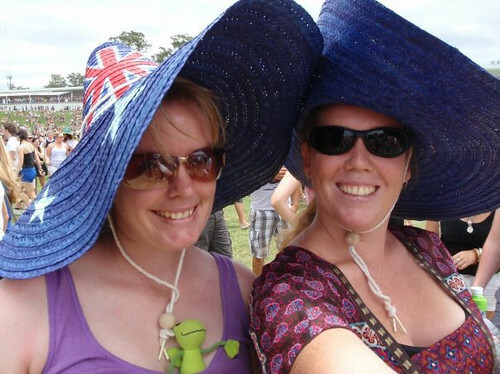 Before Big Day Out, Jo had already become my “concert buddy”, until she ended up moving away, hmph. On this occasion, we went and saw Missy Higgins perform on the Gold Coast, in this amazing intimate “candle” something-or-other concert. Basically it meant that we were all sitting down. We had front row, and it was incredible. Only a few metres away sat one of Australia’s best female singers, discovered through a radio competition. Without anyone in front of me I could focus on just enjoying the experience. Until the lesbians spoke up. Now before you get grumpy about my sentence, at this point in time Missy’s sexuality had been a big question mark. The media were in a frenzy over it, and she had remain tight lipped. Pretty much because it was no one’s business. However just before this concert she had finally confirmed she was gay, although later she would get married and have a child with a man. To clarify my own stance, my sister is gay and I have no problems with it whatsoever. If she’s happy then I’m happy. Move on. My problems were the lesbians that spent the entire concert wolf whistling to Missy, yelling “we love you!” and pretty much objectifying her to the point she became uncomfortable. They had clearly missed the point that she hadn’t spoken about her sexuality because it was not a focus point for her. She was about her music, and they were ruining the night for her. I felt so bad for her, and admired her courage to try and laugh it off. I can appreciate that they were appreciative of the fact they had yet another famous figure that could bring exposure to the treatment of gay people within society. Back to the music, I was in awe of her voice. It was so beautiful and pure, and it was a shame that a few years later she decided to take an indefinite break. She finally returned back to the music scene just recently thank god – it would be a shame to miss out on that talent. I understand she had to get coaxed into returning to the studio for a friend (not her own album), but once there she realised how much she missed it. Her new albums are just as incredible as her previous ones, and I’m so thrilled she’s back. Next PostNext Fitness? What fitness?